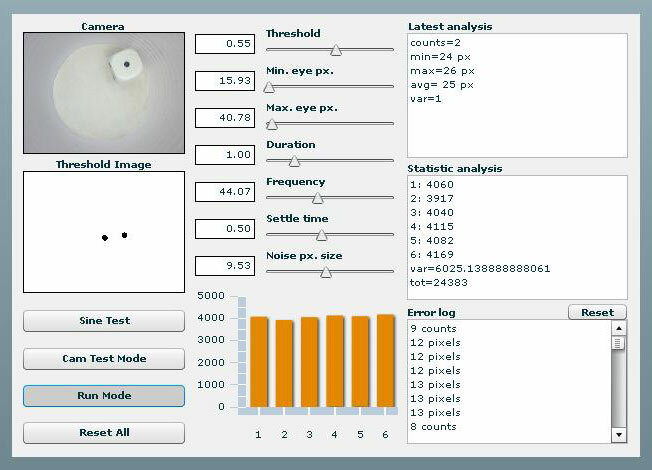 This project is a Flex application I have written, that can perform statistic analysis on a dice. 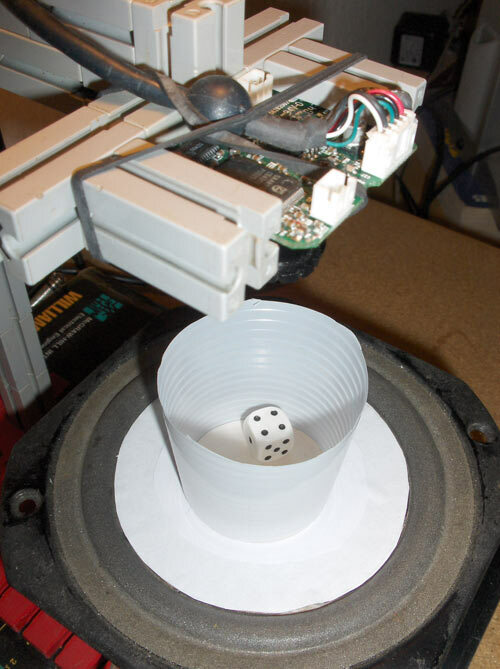 The dice is controlled with a loudspeaker, on which a plastic cup is mounted, and the dice can hop around in the cup. 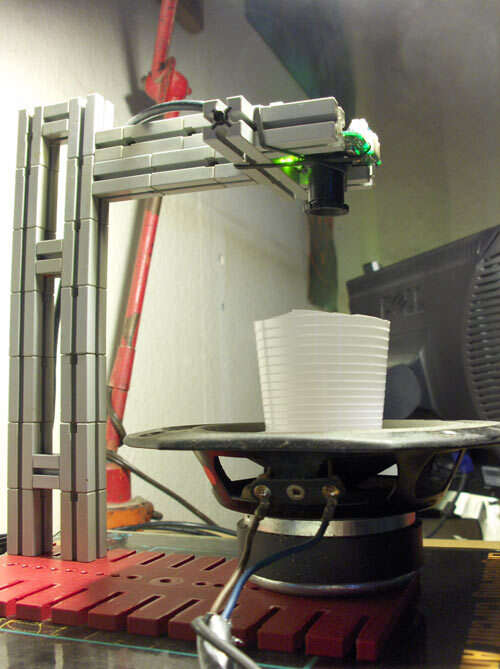 A Webcam takes snapshots of the dice, and the app analyzes the image. The accumulated result is shown in a bar chart. 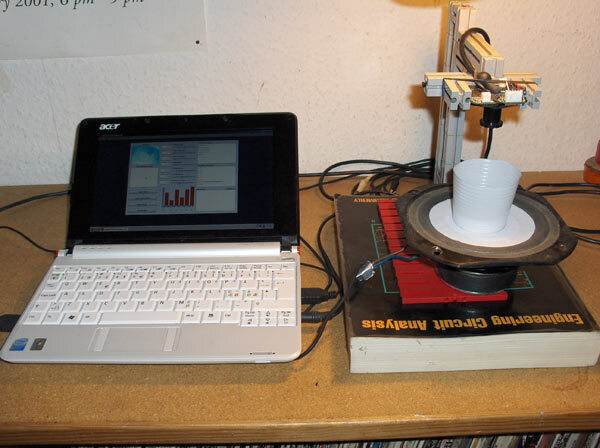 First the app sends a tone through the audio output of the PC to the loudspeaker, and the dice hops around for a while. Then after a settle pause, the app takes a snapshot with the webcam and makes a binary black and white image with a simple threshold transformation. Very small areas are removed as considered as noise. Then a simple count method, similar to the 'magic wand' tool known from Photoshop, is performed. Then an error check is performed, and if no errors, the count result is accumulated.